UNITED NATIONS, Sept. 12 (Xinhua) -- UN Under-Secretary-General for Peacekeeping Operations Jean-Pierre Lacroix on Wednesday urged member states to contribute more troops and police to UN peacekeeping. "I would also like to take this opportunity to call on all member states, particularly those with the most advanced military capabilities, to contribute more troops and police to UN peacekeeping," Lacroix said at a UN Security Council open debate on peacekeeping operations. "We still have an ongoing need for critical capabilities, including helicopters, counter-IED capacities, rapid reaction forces, situational awareness, and medical support," he said, noting that "we welcome all contributions in these areas." Speaking on the importance of women in UN peacekeeping operations, Lacroix noted that "the engagement of member states is also key to increasing the number of women who are part of peacekeeping." 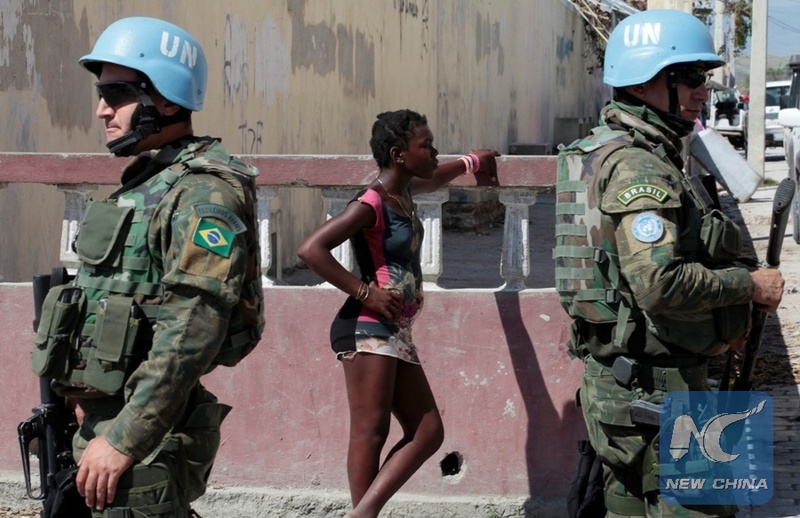 "More women in peacekeeping simply makes peacekeeping more effective. We need to significantly enhance the number of female peacekeepers at all levels and within uniformed as well as civilian components. We must also ensure that they are able to meaningfully participate in our work," said the UN peacekeeping chief. "Women are only 21 percent of our personnel. We must do better," Lacroix noted, adding that "we have seen some improvements" with hard work. "Gender strategies for DPKO (Department of Peacekeeping Operations) and DFS (Department of Field Support) as well as within each of our missions, and the Uniformed Gender Parity Strategy, are starting to yield results. At headquarters, women officers now represent 18 percent of all officers in the Office of Military Affairs, and we are committed to raising this proportion further. In the field, women police officers represent 21 percent of our Individual Police Officers, and 7 percent of our Formed Police Units," he said. "We intend to continue our efforts to increase the number of female peacekeepers in headquarters and in the field, in line with Security Council Resolution 2242, " Lacroix said. "The policies that we have promoted can only be achieved through the active involvement of members states. I therefore welcome the efforts undertaken by a number of member states, and I call on all of you to further these initiatives and significantly increase your contributions of women peacekeepers," he said. UN Resolution 2378, which was adopted on Sept. 20, 2017, requested the secretary-general to deliver a comprehensive annual briefing on the reform of UN peacekeeping to begin within one year of the adoption of the resolution, followed by a debate. Lacroix's briefing at the debate, which was mostly about peacekeeping reform, provided an opportunity to discuss some of the reform efforts undertaken in the past year by the secretary-general, including on management and the peace and security architecture, as well as an initial assessment of several independent reviews of peacekeeping operations carried out at the initiative of the Council or the Secretariat.